Truth Wins Out filed a special report, The Exodus Smokescreen, pointing out that Exodus-affiliated ministries at the state level still widely claim that “change” is possible. Truth Wins Out presented further evidence that Chambers deliberately misled the GCN crowd after we obtained literature last weekend from Exodus’ Love Won Out conference. If Exodus International’s Chambers is truly “sorry that that is something we used,” isn’t it immoral for Joe Dallas to speak at a group that sill uses this misleading phrase? Why is Chambers allowing Dallas to speak at this event? Why would Dallas agree to talk there, if the message of PFOX is clearly at odds with that of Exodus? Friday and Saturday, March 16-17, 2012 for a PFOX family and friends weekend. The weekend will focus on uniting families through unconditional love. 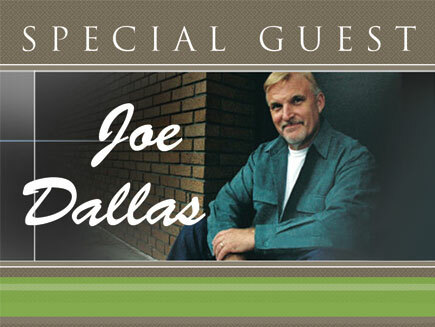 Joe Dallas will be our opening speaker. Joe’s ministry in sexual addiction recovery and homosexuality is nationally recognized. He is the author of The Game Plan and The Men’s 30-Day Strategy for Attaining Sexual Integrity, and Program Director of Genesis Counseling in Tustin, Calif., a counseling ministry for men dealing with sexual addiction, homosexuality and other sexual/relational problems. He is a pastoral counselor, a popular conference speaker and author of five books on human sexuality from the Christian perspective. This is a two-day experience for parents and friends of gay, lesbian and transgendered children. This is NOT a parent-child retreat, but an experience for parents who unconditionally love their children. PFOX will provide educational resources, testimonies from former homosexuals and transgenders. You’ll have the opportunity to meet and form friendships with families who understand and share your feelings. Friday’s meetings are from 7:30-9:30 PM. Saturday’s meetings are from 8:30 AM to 8:00 PM.Breakfast, lunch and dinner are included. The cost to attend the Retreat is $90 per person or $150 for two family members. Special discounts available to clergy. No walk-in registrations. Last day to register is March 3, 2012. It is time that Chambers admits that he lied at GCN or acknowledges that he is so incompetent that he has virtually no control over his “ex-gay” racket. If anyone ever again says that “I believe you” when they are talking to Alan Chambers, without evidence to corroborate his tale — I’m going to pull my hair out.